This gives the date, where known, of the discovery of the element, together with the discoveror and place of discovery. 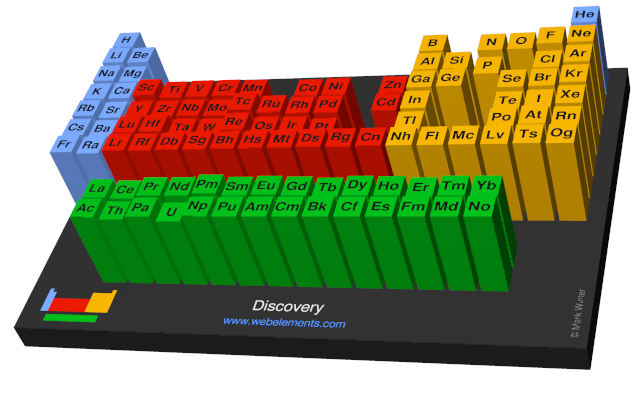 Image showing periodicity of the chemical elements for discovery in a periodic table cityscape style. 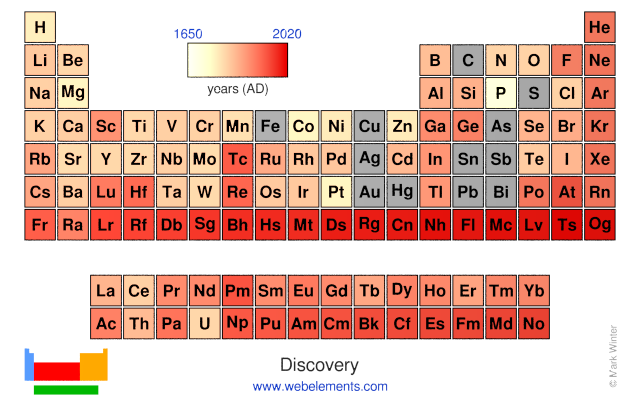 Image showing periodicity of the chemical elements for discovery in a periodic table heatscape style. 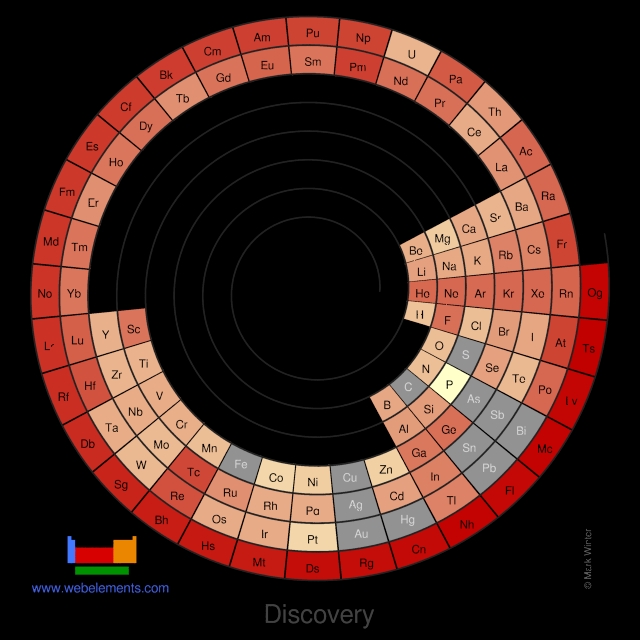 Image showing periodicity of the chemical elements for discovery in a spiral periodic table heatscape style. 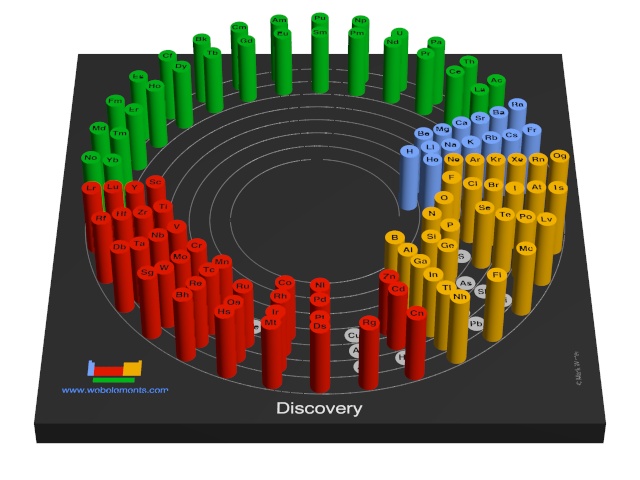 Image showing periodicity of the chemical elements for discovery in a 3D spiral periodic table column style. Image showing periodicity of the chemical elements for discovery in a 3D periodic table column style. Ref. 2 is a comprehensive volume on the discovery of the elements. M.E. Weeks and H.M. Leicester in Discovery of the elements, J. Chem. Ed, Easton, Penn, USA, 1968.